Excerpt from Schubert Piano Quintet in A Major, D. 667, "Trout". April 30, 2017. 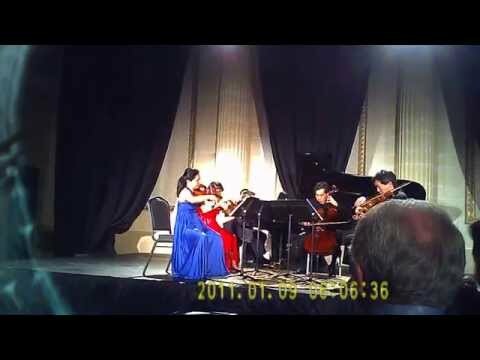 The Trust Performing Arts Center, Lancaster PA. David Kim, violin Che-Hung Chen, viola Yumi Kendall, cello Joseph Conyers, bass Christopher Shih, piano. Producer: Anthony Guyer, Forgotten Genre Productions.